The Special Investigation Team formed by the Punjab and Haryana High Court has arrested its former Registrar (Recruitment) Balwinder Sharma after evidence showed he was in constant touch with the prime accused in the Haryana Judicial Service Examination paper leak. The SIT headed by Ravi Kumar Singh, IPS, Superintendent of Police (Crime and Investigation), has arrested Sharma for custodial interrogation. Sharma, who had been transferred from the high court after his suspension and pending action, was arrested from Ropar. Probe revealed hundreds of calls were exchanged between Sharma and the two candidates Sunita and Sushila, who later turned out to be toppers in the judicial exam in general and reserved category, respectively. The high court had on September 15 entrusted the probe into the case with the Chandigarh police since the examination was held there. The SIT was constituted on September 18 and an FIR was registered. Sharma’s arrest is in line with the recommendations of the Recruitment/ promotion/Court Creation Committee, which had said in September that, “Keeping in view the finding that Dr. Balwinder Sharma, Registrar (Recruitment) unequivocally stated that he had no prior acquaintance with Ms. Sunita (the topper in general category), while the call details given by the service provider reveal that there were a total of 760 calls and SMSs exchanged between Dr. Balwinder Sharma and Ms. Sunita during the last one year, indicate that the matter requires a deeper probe. Therefore, the Committee recommends that regular enquiry be initiated against Dr. Balwinder Sharma, Registrar (Recruitment) on the basis of preliminary enquiry”. 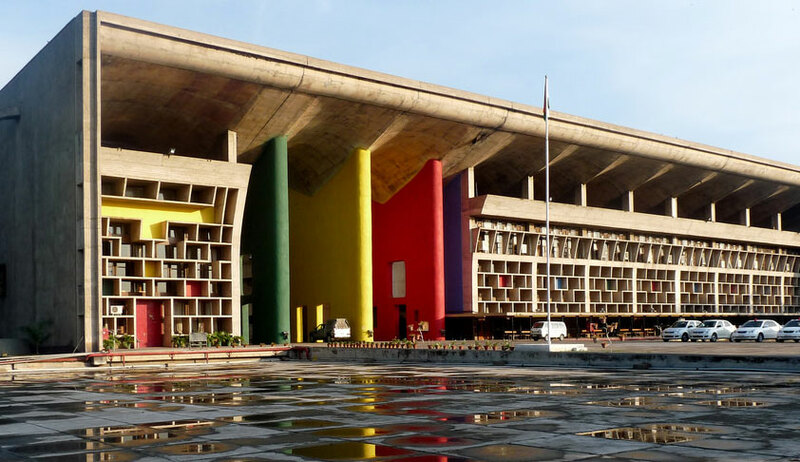 On March 20, the Haryana Public Service Commission advertised 109 posts of HCS (judicial branch) pertaining to recruitment to subordinate judicial services. Suman, an advocate, applied for the same and started attending Jurist Academy in Chandigarh for preliminary examination. One woman named Sushila, a resident of Panchkula, also joined the same Academy. Suman and Sushila became friends and started sharing notes. On May 25, HCS preliminary examinations were announced to be held on July 16. On June 28, Sushila inadvertently shared an audio recording with Suman where she was talking to a woman named Sunita who was promising her appointment as subordinate judicial officer for a sum of Rs 1.5 crore. Later, Sushila told her that Sunita can get her the question paper of the preliminary examination. The petitioner and her husband, in order to elicit truth, started conversing with Sushila regarding availability of question paper. Somewhere around July 16, Sushila told Suman that she had struck a deal with Sunita and disclosed 5-6 questions which she said would come in the preliminary examination. Suman was shocked to realise that all those questions did come in the preliminary examination. Sushila had also told Suman that no amount of preparation would help as all the post for the general category have already been booked or sold. The petitioner’s husband made a complaint before the Director General of Police on July 19 but did not receive any response. Manoj then made a complaint before the chief justice of Punjab and Haryana High Court and annexed a compact disc containing conversations between Sunita, Sushila and Suman. On August 5, Manoj and Suman were constrained to move the Punjab and Haryana High Court by way of a writ petition titled Suman versus state of Haryana and others seeking directions for registration of a case and to conduct investigation in the allegations. The single judge took note of the matter and on August 8, summoned the Registrar-General who informed that an enquiry is being conducted. "Since it is claimed in the petition that not only the paper of HCS preliminary examination was leaked but it was a whole package involving the main examination which is yet to be conducted and for which paper was yet to be set and also the process of interview, therefore, tentatively I am of the view that the inquiry should have been conducted at much higher level which is now to be considered and decided by this court...."
The results of the exam was placed before the court in a sealed cover and it was found that Sushila and Sunita had topped the exam. The single judge ordered, "in the meantime, the declaration of the preliminary examination result is hereby stayed". "The registrar recruitment of this court is directed to file affidavit stating as to who had handled the examination papers right from the time it was set till it was distributed in the examination hall and also disclose the name of the officials who have been deputed in handling and printing of the papers officially and whether anybody else entered the room where the papers are printed without being deputed for the same.."
Suman's prayer for impleadment of CBI was kept pending. After the single judge passed the order indicating involvement of high and mighty, the members of the recruitment committee approached the acting Chief Justice of Punjab and Haryana High Court on August 28 itself seeking transfer of the case from the single judge. "Without waiting for the chief justice to join back office the Acting Chief Justice passed an order on August 29 withdrawing the case from the single judge," said the petitioner. Suman then moved the Supreme Court seeking transfer of her petition. "The recruitment committee headed by the senior-most judge of the Punjab and Haryana High Court got the case transferred for the reasons the petitioner is unable to comprehend but leaving her wholly suspect about the bonafide of the exercise," she had said in her transfer petition. The Supreme Court, however, refused to entertain the transfer petition and suggested that it can be approached after the high court decides the matter after which Suman withdrew her transfer petition. On September 15, a three-judge bench of the Punjab and Haryana High Court directed Chandigarh police to register an FIR in the matter. On September 18, it constituted a three-member SIT. In November, Sunita was arrested from Delhi.